We offer corporate membership for our Global, UK or combined Market Intelligence Service. Unrestricted, corporate-wide membership: everyone in your organisation will now be able to access and benefit from our service, ensuring that your full management team, from CEOs to departmental heads and business development managers, will be kept up to date with industry news, market insights and be made aware of opportunities and risks. Unlimited access to our business news: On financial results, mergers, acquisitions, partnerships, projects, policy, opportunities, key personnel, new initiatives and much more. Includes weekly news email alert. 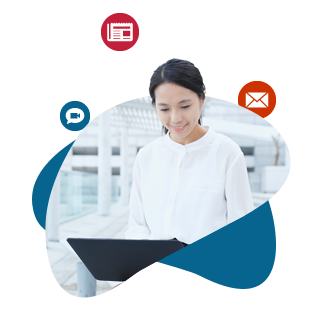 Share with your colleagues: You can share EA insight and information internally on Intranets, by email or by print, in full or in part, within the terms of your license. We'll sign up your colleagues to our service so they too can access the content direct on Environment Analyst. EA Analyst Helpline: we'll provide you with a direct phone number and email address to a designated analyst, who will help you and your colleagues understand our insights and data. Annual research review meeting:your designated analyst will discuss your requirements for insight and market research over the year ahead and we will feed these into our research programme. Market Intelligence reports: we publish a range of global and UK market intelligence reports throughout the year, including market assessments, competitor profiles, spotlight profiles and insight reports. Exclusive events discounts: receive conference discounts of up to £200 per delegate, as well as discounts off selected webinars and training courses. You'll be kept up to date with our current events and with job vacancies in our fortnightly jobs and events email alert. Priority speaking opportunities: at our Business Summit, EA webinars and other EA conferences. We have special rates for local authorities, charities, academic institutions, consultancy clients, suppliers and financial & other advisors. We also offer affordable prices to smaller consultancies. To find out more call us on +44(0) 203 637 2191 or email sales@environment-analyst.com. For more information on our Market Intelligence Service you can request a free demo here. For more information on our Market Intelligence Service you can request a free demo.